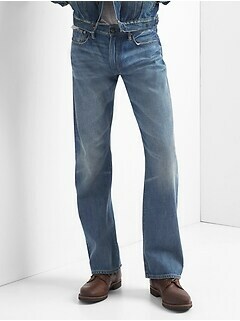 Enjoy sturdy denim with no stretch jeans for men from Gap. 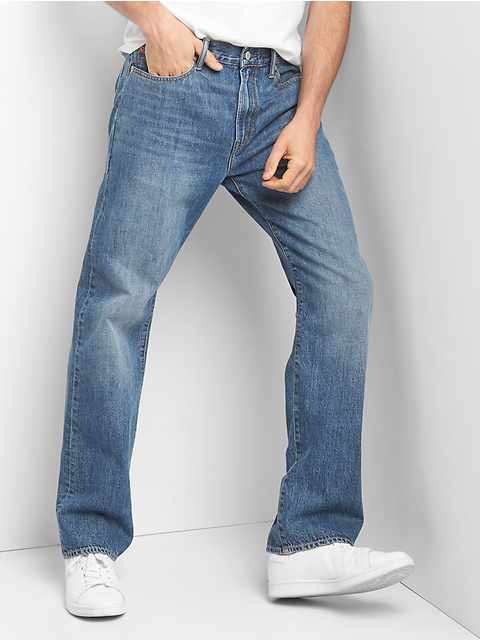 Who says your jeans have to be stretchy? 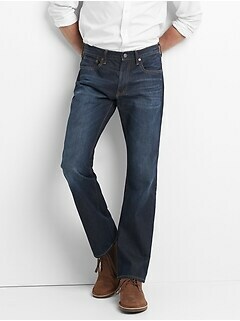 Find incredibly made and impeccably styled no stretch jeans at Gap. 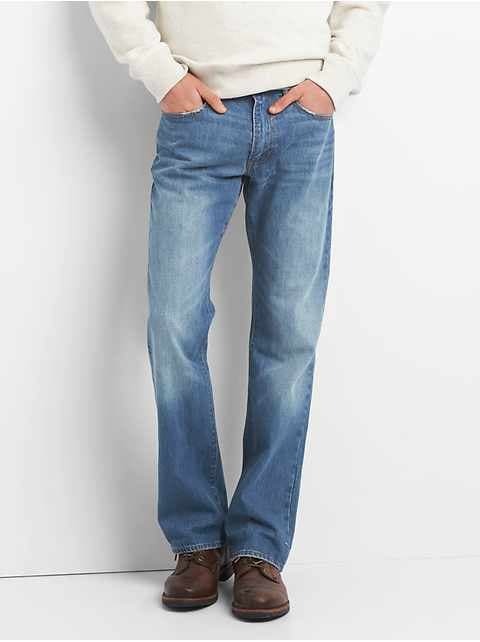 Don't be afraid to let your jeans have hold and shape with non-stretchy styles. 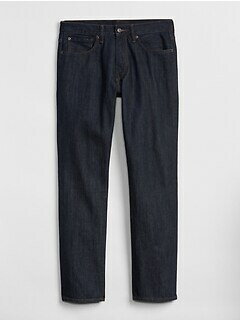 Browse the classic collection of no stretch denim in leading styles, cuts, and colors all available in great Gap sizes. 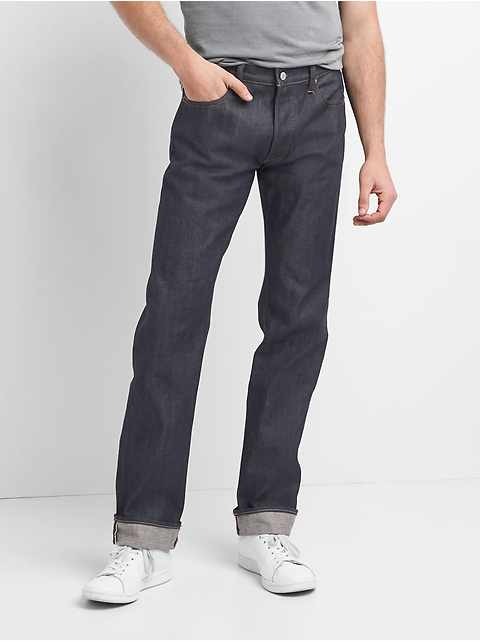 Enjoy a modern look with American-style roots with well-made and durable no stretch denim you can easily wear day after day with varying and fashionable ensembles. 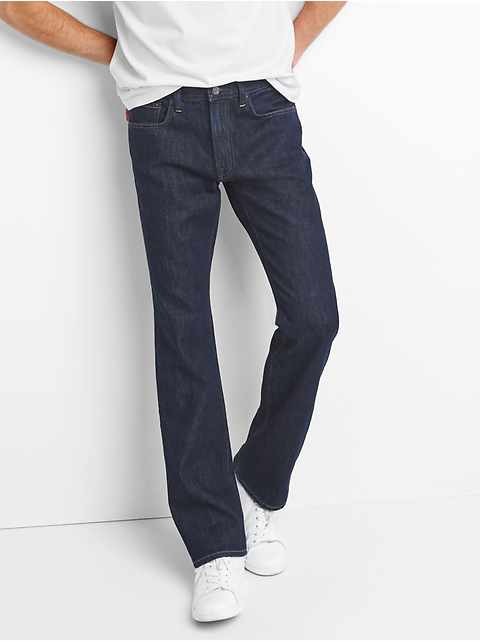 Say goodbye to stretch and hello to style with guy's non-stretch denim jeans from Gap. 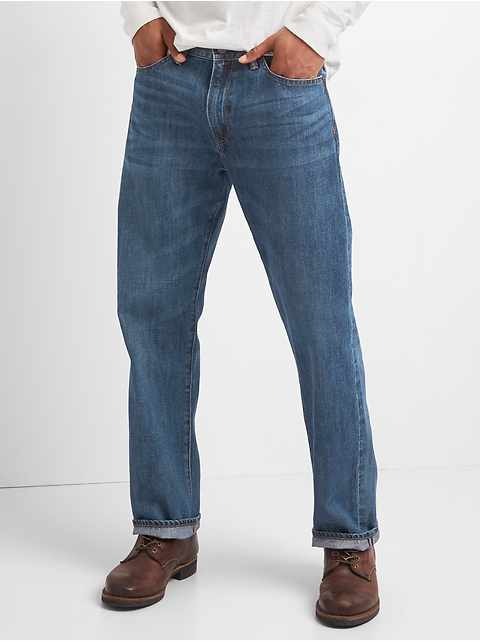 In our world of stretch everything, it can be easy to forget that jeans were originally designed for a firmer, no-nonsense drape that held its shape all day. 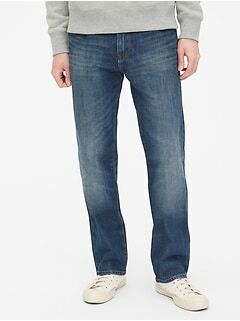 Get that timeless denim look with Gap's men's jeans without stretch. 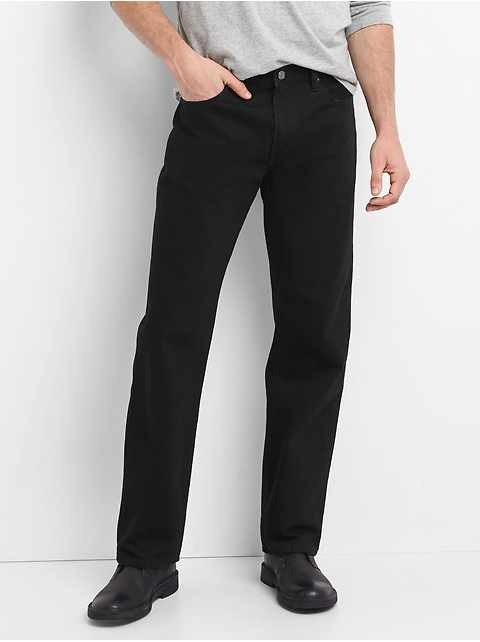 These pants come in a range of washes and fits so you can create your ideal denim look. 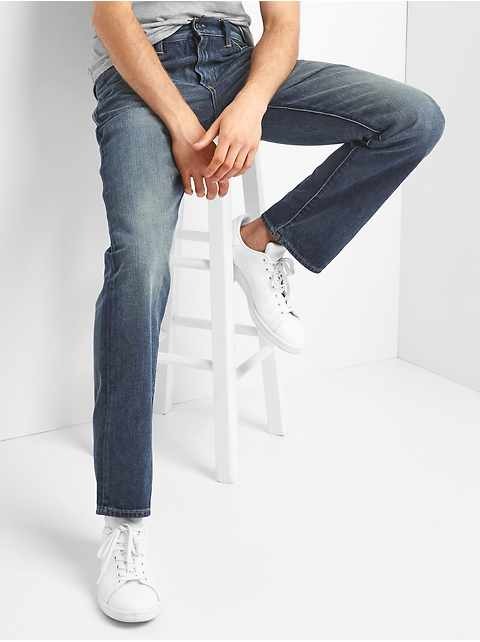 Shop cuts like standard, relaxed, slim, boot, and skinny in cool washes from dark and black to medium indigo, rockaway, light and almost every color in between. 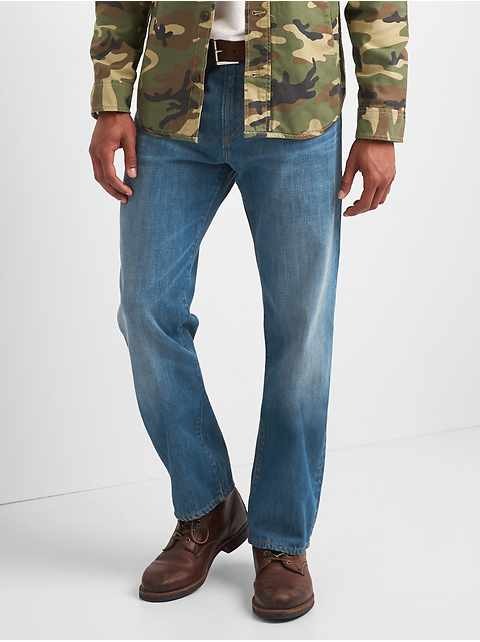 Pick up a pair with details including distressing, fading, and whiskering, and functional additions like five-pocket styling, button closures and zip flies. 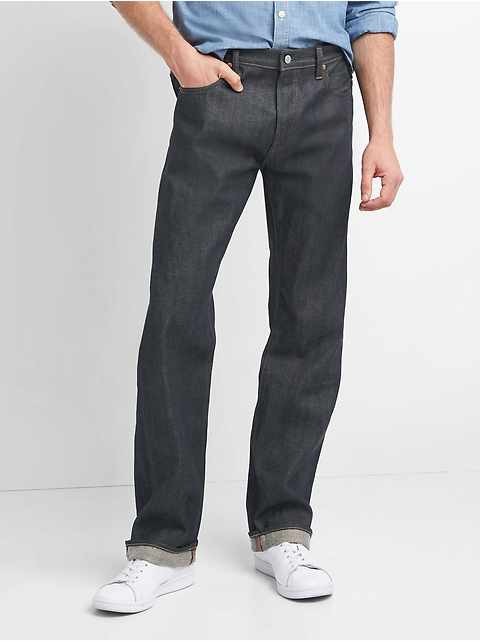 Gap's non-stretch jeans for men are carefully and thoughtfully made to give you leading denim you'll love to wear again and again. 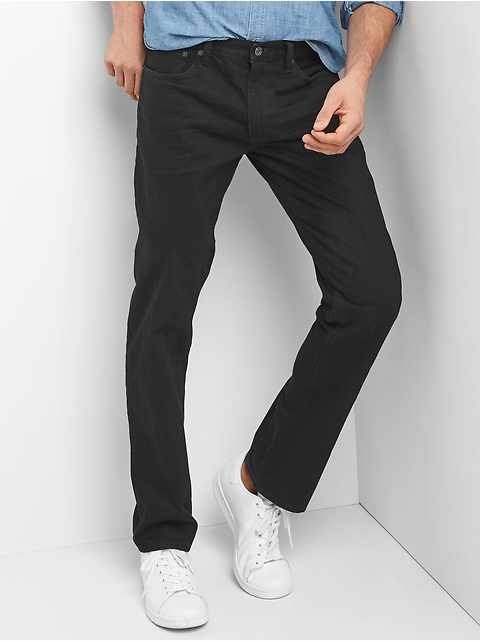 Premium, 100% cotton fabric is soft and supple with just the right amount of hold. Looking for a way to give back? 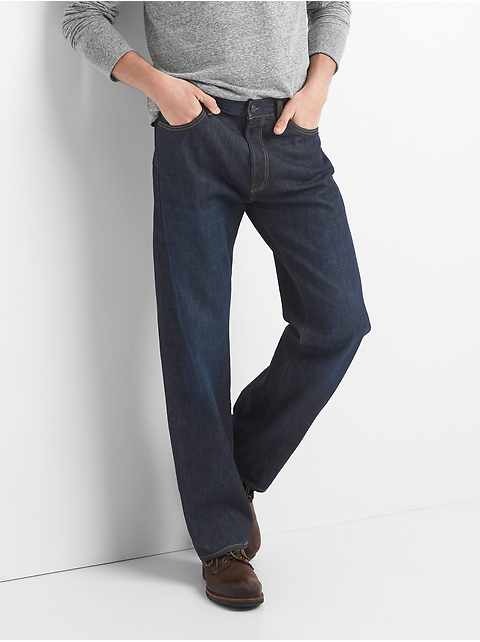 Choose Gap for Good non-stretch jeans that have helped save over 60 million liters of water, and counting, while cutting back on production energy use. 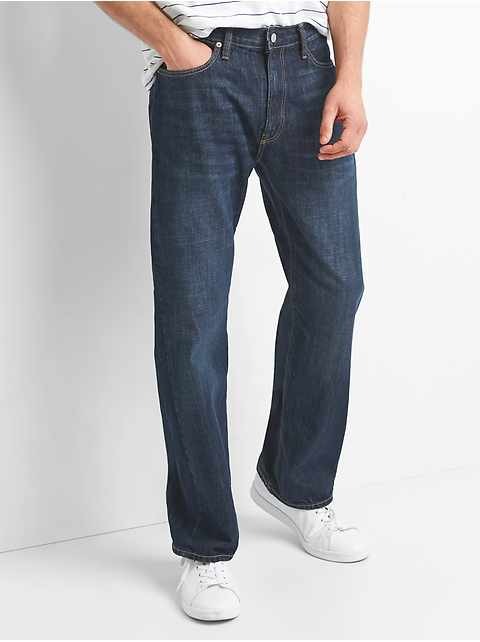 Browse jeans in regular and tall sizes from 28W to 42W all made with reliable Gap quality. 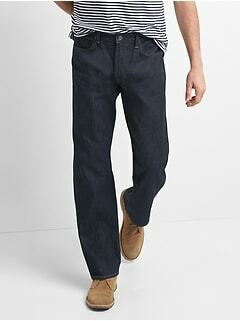 Check out Gap's great collection of men's non-stretch denim today for leading styles, comfortable cuts and cool colors.